Travelling through the roads of Ladakh & Zansker one requires patience, skills & the presence of mind. This road is among the most treacherous which passes some of the highest passes of the world and hence can be a rewarding journey. This will lead you to New Delhi to the heart of the greater Himalayas. Adequote facilities are provided en route & the class of service is uncomparable as we believe you need to be taken that extra care during this journey !! After taking sumptuos breakfast proceed for Nalagarh in Himachal Pradesh. The route will take you through bustling towns interspersed by colourful villages and long stretches of green fields. Put your driving skills to test as you compete with screeching buses, bullock carts, tractors all vying for space on the chaotic, maddening yet charming landscape that is India. Stop for lunch and tea in Karnal or Pinjore or any of the roadside ‘dhabas’ - traditional open-air restaurants serving popular north Indian food. After breakfast the day will test your skill for Hill proceed to Manali. Althrough the journeyyou will have the rewarding opportunity of scenic drive as you pass by gentle hills clothed with green forests till you reach Mandi. 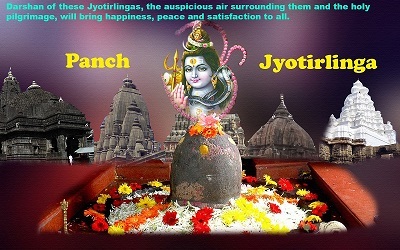 Get a taste of the spiritual side of India in this quaint town which boasts more than 80 temples. Ascend further towards Manali stopping to capture on camera the stunning scenery as the drive winds its way around River Beas. Overnight at Manali. An early start will ne rewarding as you will avoid getting caught uo in the tourist traffic to Rohthang Pass & also luck favours you will get the get the opportunity to view the sunrie continue your drive to reach Jispa, a small quite village in the Lahaul region. En route, you will get the first glimpse of the Rohtang Pass, located at 13,050 feet. Dry and very cold surrounded by high mountains on all sides, the Great Himalayas to the north, the Pir Panjal to the South and the Spiti-Chandra watershed to the east. On way, stop at Keylong village from where you can see the awe-inspiring Shingri Glacier in all its majesty. Overnight at Jispa. A day we prefer for acclimatization. Rest of the day free at leisure. Overnight at hotel/tented accommodation. Leave for Pangong Lake not later then 5 AM situated at an altitude of 14,271 feet above sea level, in the northeast of Leh. The bare rolling hills interspersed with dusty valleys are the setting for the spectacular lakes in the area. En route, stop at Thiksey village, famous for its huge monasteries. Beyond this remote village, there is nothing but the extreme mountain ranges as far as the eye can see. The second stop is the Changla Pass (17,350 ft.), which could test ones lungs, for the lack of oxygen. Drive on till you reach Pangong Lake, a tourist paradise and of great geological significance. Part of the lake runs through the Indo-Chinese border. Drive back to Leh. After breakfast preferably an early breakafst start driving towards Nubra Valley (Valley of Flowers) situated in the north of Leh, at about 10,000 feet above sea level. The road, which climbs up and over the Khardung La, at approximately 17,600 feet, is believed to be the highest motorable road in the world. After crossing the Pass, you will see Khardong village, Khalser and Deskit (the main villages of Nubra valley). Spend the night in the organic camps. After breakfast drive down to Deskit and Hunder village, where you can enjoy a camel safari on two hump bacterian camels in white sand dunes. Drive back to Leh after visiting Shanti stupa and Leh fort on the way. Overnight in Leh. Now to musch driving so testyour nervers at river rafting! Breakfast and leave for Kargil. Enroute, stop at the Magnetic Hill one of the mysterious things happen check yourself. You can actually switch off the ignition and still move up hill at a speed of 20 km/ hour. While driving, you’ll come across this unearthly looking landscape, which could be taken away from the moon and put directly in the great Himalayas. The rocks emerge in numerous forms and gradations of yellow to grey. Overnight in Kargil. Leave early morning for Srinagar, crossing Zozilla Pass (11,575ft) and Drass Valley, the second coldest inhabited place in world. Stop at Sonamarg to see Thajiwas Glacier. Overnight stay in a deluxe house boat. The day wil be spent doing sightseeing in Srinagar, a paradise valley in the state of Jammu and Kashmir. Enjoy a shikara ride on Dal Lake and see the floating vegetable gardens. Also see Nishant Bagh, Shankaracharya Temple and shop for souvenirs at Lal Chowk market. In fact after barren land of Ladakh & Zansker one need to see green for your eyes. Since the sistance of driving is much more we suggest you to leave early morning for long drive to Amritsar. If we are on time, we can see the amazing Golden Temple against the spectacular backdrop of the setting sun. The last leg of journey drive back to home after an early breakfast. You rewind your journey & will see the achievement that you had achieved is impeccable. The Mission accompalished !!! You will be required to obtain permits and permissions to travel to Ladakh. Dress warm on your altitude voyage. Don’t compromise on quality of your vehicle. If you want to go for a jeep safari, prefer to travel in-group. Maintain absolute silence to enjoy the close proximity to the natural habitats. 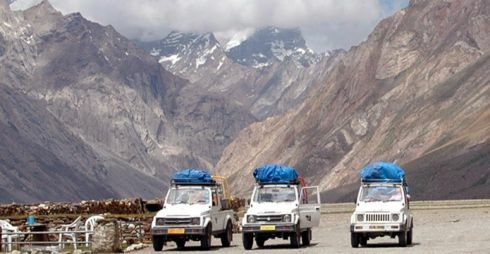 Best time for Jeep safari in Ladakh: The road is safest to travel on in this region between July t mid October. This is when the routes are open to public.